Washington, D.C. – The U.S. Fish and Wildlife Service (FWS) today announced its intention to remove Endangered Species Act protections for all gray wolves in the United States that are currently protected. The Endangered Species Coalition decried the move as political, and urged the Trump Administration not to abandon the still-recovering species. There were once up to 2 million gray wolves living in North America, but the animals had been driven to near-extinction in the lower 48 states by the early 1900s. 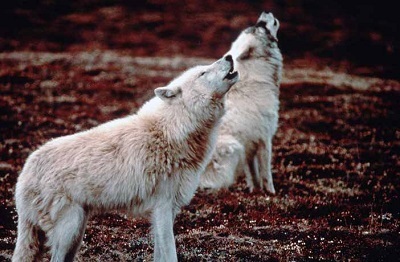 After passage of the federal Endangered Species Act in 1973 and protection of the wolf as endangered, federal recovery programs resulted in the rebound of wolf populations in limited parts of the country. Gray wolves returned on their own to the Western Great Lakes region and northwest Montana and were reintroduced to Yellowstone National Park and central Idaho, where they have made a successful comeback. However, wolves are still struggling in areas of Oregon and Washington, while only a few have made it to California or the southern Rockies, where substantial areas of suitable habitat exist. Roughly 5,500 wolves currently live in the continental United States – a fraction of the species’ historic numbers. A similar proposal in 2013 outraged Americans: one million citizens submitted comments and 200 business leaders signed a letter in opposition to the plan to strip endangered species protections from gray wolves. The wolf delisting notice was published in the Federal Register and will include a period for public comment, after which the rule can be finalized by the Trump Administration. Please reconsider and leave the grey wolf protected in the United states. Stop trying to undo everything that protects the environment. These poor wolves are all that’s left of a species that once roamed the southwest. I am so sick of what you peoplke are doing! STUPID! Grey wolves have NEVER been endangered. Their listing on the ESL was and still is a farce based on lies and fraud. They need to be protected so they are not completely wiped out!!! Do not strip them of their protection!!! Please do not remove protection for the grey wolves. They are vital to our ecosystem!! Fake endangered listing for wolves that have never been endangered. Do not allow gray wolves or grizzly bears removed from the ESA protection under any circumstances. They are very important to maintaining our ecosystems. The time to save our environment and endangered wildlife is now. Government officials who are not willing to provide these protections need to be voted out for not acting in the best interest of our country. They are not endangered you idiot. Endangered gray wolves and grizzly bears , as well as, other species need to remain protected under the ESA. They are very crucial to maintaining our ecosystems. The time to save our environment and wildlife is now. More people than ever before are advocating for this. Any government official who is not willing to ensure these protections must be voted out for not acting in the best interest of our country. There must be something we can do to prevent this barbarity! Anyone who has read about wolves should know how intelligent and family oriented they are! I have loved wolves since I was a child. Protecting grey wolves who have NEVER been endangered is a ludicrous abuse of the ESA. The gray wolf is part of our eco system, and our eco system ultimately sustains a balance. The protections of cattle grazing is ignoring the rights of wildlife. Wildlife is our best hope and harkens humanity to noble truths of our own sacred nature. Let the wolves live the way they were meant to. Stop interfering with Gods and Natures way. Stop listening to the ranchers and hunters who want to do away with them for money and sport. This country is suppose to be compassionate and countries are suppose to take examples of us. Mr. Trump and members of his administration please reconsider the hurt you are putting on ALL living things in this country of ours. It’s suppose to be a great country not a cruel one. Predator removal has been proven to be detrimental to ecosystems. Please, leave protections in place for Gray Wolves and the rest of the environment. The last thing cattle ranchers need is more land for grazing and more cows to raise for slaughter due to the devastating effects animal agriculture has on climate change alone, not to mention the animals bred into this industry – and we all know wolf packs are removed to benefit ranchers. Leave the wolves and the Endangered Species Act alone. Please do not de-list the gray wolf from the Endangered Species Act. Wolves are targeted mercilessly by many individuals and groups, necessitating governmental protection. It will take an undetermined amount of time for cultural shifts to take place so that healthy populations of grey wolves can be sustained without continual interventions on the species’ behalf. Vulnerable creatures need our protection. De-listing gray wolves could lead to their extinction. Do not remove grey wolves from protection. We need them for our ecosystems to be healthy and they deserve protection. We are going to kill them all. She needs wolves Nature doesn’t need us! How bout stop playing for God? Everything on this planet was (!!!!) In total balans until humans start playing for God and start taking lives! The term “Chain of Life” is a real thing,not just a line from a movie.If the wolves are gone,eventually a lot of other living things will go,too. That should be a reason to keep them on the list, besides the fact that wolves are beautiful,wonderful animals that have a right to life. Endangered gray wolves, crucial to our ecosystems, need to remain protected under the ESA. The nation’s wildlife and wild places are treasured by most Americans and we vote! Our beautiful country – and its treasured wildlife such as the gray wolf – demand protection! Any elected official – Republican or Democrat – who doesn’t ensure this protection will be voted out of office. Simple as that! We are all connected. What hurts wolves, hurts us all. For once cant we leave mother nature alone. Who are we to keep killing animals like this? Nature needs predators to keep populations of other animals low. Please protect this endangered species. They are a vital part of our ecosystem. We cannot allow our government to hand over the fate of our most precious wildlife species to those few who seek to kill them under the guise of misplaced and exaggerated fear for livestock, or just to decorate dens and living rooms with their heads and hides, while depriving millions of Americans of the joy of seeing such animals in the wild. Wolves are filthy vermin that will be eradicated. Please protect and Save all gray wolves they’re endangered species and they help out our world and even us . Please Do Not Kill them to extinction . De-listing grey wolves will not make them disappear. It will simply allow each state the latitude to manage the species appropriately based of real science rather than emotional feelings. the ones with collars on will the most highly sought examples. Shoot the entire pack and tag one for the trophy room. The unprecedented attacks on our environment just keep coming with this ignorant administration. Wolves are a necessary part of our ecosystem and their recovery must be protected! Wolves are an essential part of our ecosystem. They feed the birds, and keep the deer and elk on the move so that they don’t forage the young trees detrimentally. They are not meant to be eaten, nor are they meant as “trophy kills”…If you de-list this animal, all the Husky cross mix dog family pets will be in danger of being stalked and killed and/or trapped on public lands due to this frenzy. Wolves also have a hierarchy. If you kill the alpha in a pack, the rest may resort to killing cattle or sheep without their leadership. Then there will be even more clueless ranchers trying to justify killing all of them. Without the wolves, we may lose many of our birds. And then we’ll have an abundance of insects which may be even more detrimental to our forests. Wolves are worthless filthy vermin that will be eradicated. Let nature thrive!!! Without it we won’t survive either. Nature doesn’t live for itself rather it lives to balance every other form of existance. When we are greedy we lose- losing balance wich means losing essentials which cause stain to us in many ways. Thank you for this opportunity to provide facts to why animals shouldn’t perish! Please, allow creatures to lighten up your day while not destroying their/ natures existance!! This Administration has declared war on animals and the environment and this is just the latest example. The science clearly shows that wolves have not recovered enough to be delisted. They are an iconic and essential keystone species which has been much maligned for no good reason. Stop the madness and reconsider. Do your job instead of cowtowing to special interests. Gray wolves (and other predators) are a critical component of the health of ecosystems, which are in turn critical to human flourishing and survival. This change in protection is not supported by the academic literature, and fails to recognize wolves as individuals which empirically feel suffering. I urge you to reconsider given the vast amounts of evidence against this decision. Killing predators is not only inhumane, but unsound. Providing wildlife crossings will allow the predator/prey populations to even themselves out as they did for millennia before humans. You know this. Stop siding with ranchers and sociopaths. Killing is not a sport. Killing is killing. Please leave the wolves alone, they are needed to balance our nature It is entirely wrong in trying to lift the protection on the wolf. THEY ARE NEEDED. Leave them alone. That’s great news. They are an invasive species that is killing off elk and deer. Let the hunt begin! Smoke a pack a day. Removing total protection will not cause wolves or grizzleys to become endangered, it will only limit them to a balance within the environment. Man has a vital role to assist in the scientific balancing of prey/predator and environment. If anything we should be reintroducing wolves in new places, look at what they have done for the health of Yellowstone as an ecosystem. 350 + million people in the United States…..5,500 wolves. Let’s at least attempt to keep some sort of balance here. Wolves have destroyed Yellowstone you stupid f&cktard! The wolf and his reputation are struggeling in so many places on this planet. Humans fearing him and his return into our lives. It would be such a positive change to see an administration that is actually doing all it can to protect the wolf and which acknowledges his right to exist and his important role in every ecosystem! Don‘t remove the Endangered Species Act protections for the gray wolf! Please do not de-list the wolves. The eco system needs them. The circle of life is very real and so is balance. Without predators and all of our other beautiful animals that roam our forests that will die as well. Even our forest are part of that circle. We need the wolves or balance will be destroyed and so will the earth eventually. The only good wolf is a dead wolf. Kill em all! It’s too soon…leave it be for now please…they need more time. The wolf population affects many other sub-populations as well…the recovery of the wolves is bringing back much more than just wolves! Please don’t remove gray wolves off the ESA. They are already being slaughtered by cattle ranchers and people who have a blood lust for these iconic animals. If you remove the top of the food chain, it will be catastrophic to the delicate balance of our ecosystem. It will affect every species of plants and animals right down to insects. You cannot do that kind of damage to the environment.